You are here: Home | Ask The Expert | Black Friday - living on borrowed time? Its Black Friday time again but is it here for good? 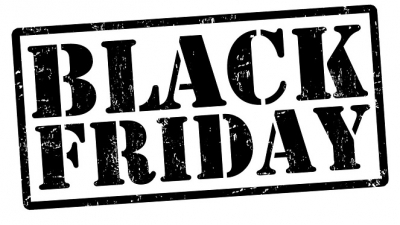 Ecrebo CEO David Buckingham asks how long will it be before the UK waves goodbye to Black Friday? In recent years, the final weekend in November marked a significant time for both retailers and consumers alike. Black Friday, the largest shopping day in the US meant the retail industry had to plan for the giant influx in shoppers, and consumers had to prepare for the bargain day battle to get their hands on discounted goods. This particular Friday is the beginning of the Christmas shopping period, with an estimated one-third of yearly sales happening between this day and Christmas. In fact, US shoppers spent $655 billion last year alone between this period. The UK was finally introduced to the shopping day in 2010 via Amazon, and a few years later, supermarket giant Asda took the e-commerce giant's lead and introduced Black Friday deals to its customers. The intention was, obviously, to boost sales, but also to deliver discounts and amazing offers to its customers, with a view to retain loyalty. And, the expectation was to add this brand new sales promotion to the calendar and reap the long-term benefits. Unfortunately for Asda, the reality was a little different. The media was filled, not with news of the amazing discounts on offer, but rather, images of customers physically fighting it out in store to grab hold of these bargains. However, four years later and the question remains: is Black Friday really still such a sought after shopping day in the UK? Especially as the one-day promotion has branched out to include Cyber Monday, another US import, which takes place on the Monday after Black Friday. This is the day where consumers are lured online by retailers, with the promise of even bigger and better discounts. In 2016, UK shoppers spent £1.9 billion on Cyber Monday, and the discount day broke records in the US, where $3.45 billion was spent online, making it the biggest day in US ecommerce history, according to Adobe Digital Insights. Not too long ago, Black Friday and Cyber Monday have morphed to include the weekend in between, as many retailers extend their promotions by offering them both before and after Black Friday. Retailers, including Currys PC World, are offering ten days of discounts and Amazon has also just announced ten days of deals starting Friday 17 November with the sale continuing until 23:59 on Sunday 26 November. But interestingly, not all UK retailers are convinced by Black Friday. Asda stepped away from Black Friday deals in 2015, citing: "Instead of the hustle and bustle and pressure of one or two day sales where customers typically push the boat out on high-value items, this year Asda customers say they'd prefer deals on value-for-money, high-quality products that all the family can enjoy." And they weren't alone. Other retailers such as ASOS, IKEA, Next and Homebase, also refrained, while others like M&S and Selfridges instead focused on their Christmas promotions. Taking it a step further, retailers like FatFace publicly abstained from the promotion and instead donated £100,000 of its profits to charity. But putting all this aside, how does Black Friday / Cyber Weekend in the UK compare to other countries? Not very well. It seems UK retailers don't apply the same level of discounts as other countries. Compared to other European countries and our cousins across the pond, UK retailers cut prices by 9%, while those in Germany (23%), France (26%), the US (29%) and Canada (36%) reduced prices substantially more. Looking at it from a wider view, how does Black Friday compare to other sales events? Black Friday doesn't actually represent the biggest global shopping day. That honour goes to Singles Day, which takes place in China two weeks before Black Friday. Last year, Chinese shoppers dropped a whopping $17.8bn (£14.2bn) in just one day. In fact, it's such a big deal, that Alibaba, the online marketplace giant, hired a Hollywood director to make a four-hour national television gala, especially for the event. Despite shoppers spending a staggering £5.8 billion in the UK throughout the last weekend in November in 2016, we have to question if Cyber Weekend will make even more room for another discount day like China Singles Day. If retailers want to obtain customer retention and loyalty, should they be thinking about year-round value instead?